Our 25-yr old balsamic vinegar is aged following the most ancient recipes from Modena. This results in a dense, syrupy, yet gently aromatic flavor. 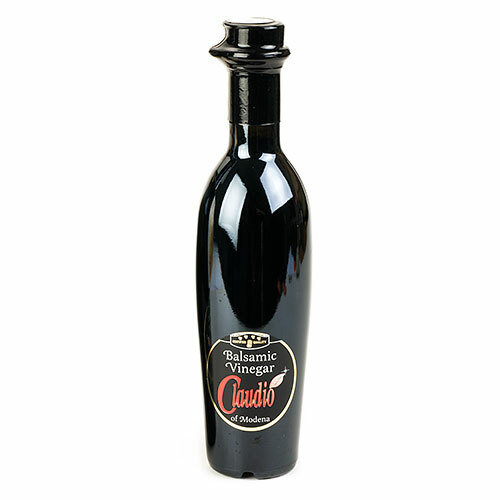 This balsamic vinegar can be used to enhance any recipe and also as a digestive liquor. As a desert, this balsamic is delicious drizzled over fresh strawberries or with vanilla ice-cream. This is a must-try item!